Mophie is one of the leading names when it comes to charging and power-delivery hardware. Now, thanks to an on-site Amazon promotion, you can welcome that leading hardware into your life with a 23-percent discount on mophie’s performant Charge Stream pad+ hardware. The popularity of wireless charging is on the up-and-up. This is partially down to the sheer number of powerful accessories which are available on the market right now – such as this great-looking mophie option that we have on offer. But also partially down to the fact that Cupertino-based Apple Inc. has used its influence in pushing the wireless agenda forward by supporting the technology in its last six iPhone models over the last two years. That decision has paved a wave for the surge in wireless devices and purchases thereof. The first thing you will notice about this particular piece of technology is that it looks gorgeous and comes with an extremely slim profile and lightweight build quality. The low-profile design makes the accessory perfect for charging at home and when traveling and it even comes with a non-slip rubberized grip that means it should be safe in your hands and keep the device safe and in place whilst it is charging. The hardware is also 10W fast-charge compatible which gives it the ability to deliver power into a device as fast as it possibly can while still offering safe and worry-free charging experience. The fail-safes built-in protect the device from over-charging and controls temperature to prevent over-heating. 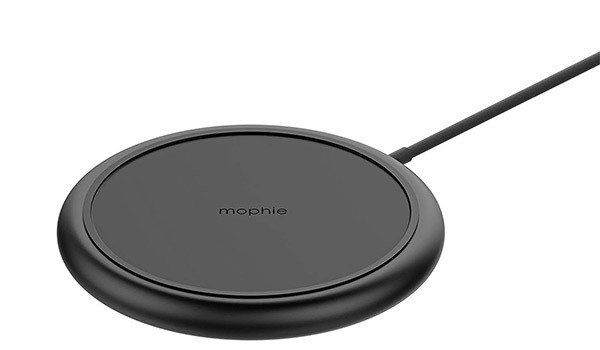 This mophie charging pad is also perfectly capable of charging devices when they are embedded in a small and lightweight case. If you put on a huge military-grade case then the chances are that this won’t work. 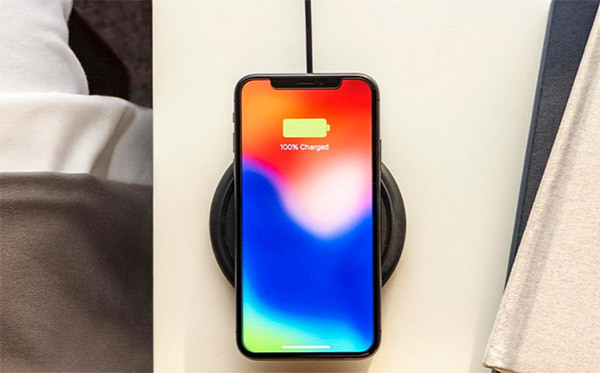 However, when most lightweight cases and sleeves are on the device you should still be able to benefit from the wireless charging capabilities of this mophie device. 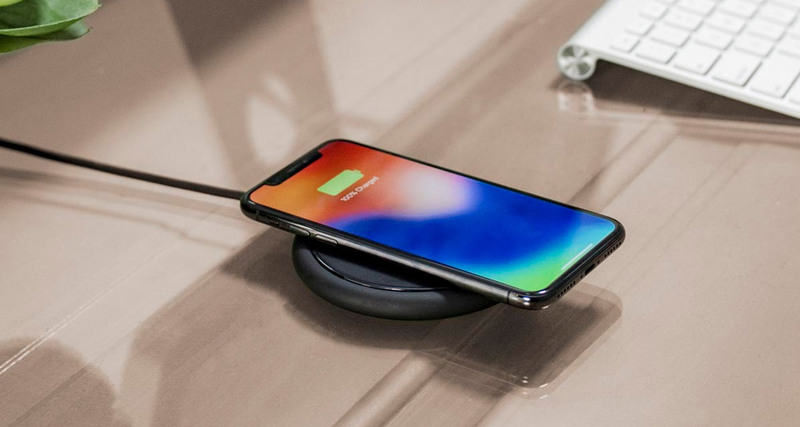 Given that you are going to immediately benefit from a decent 23-percent discount, it’s definitely worth investing your money in this top-of-the-range Qi-compatible wireless charging from one of the world’s leading manufacturers as far as this particular hardware is concerned.